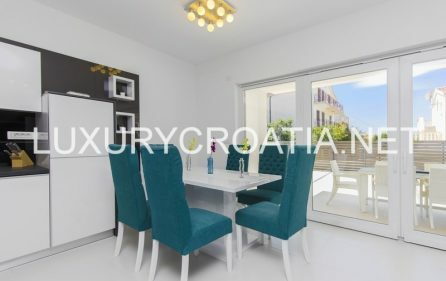 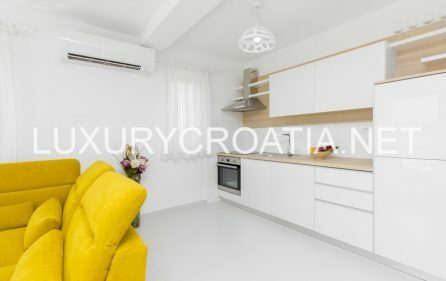 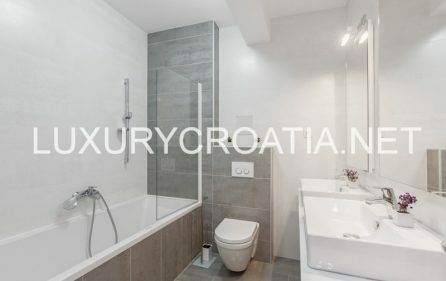 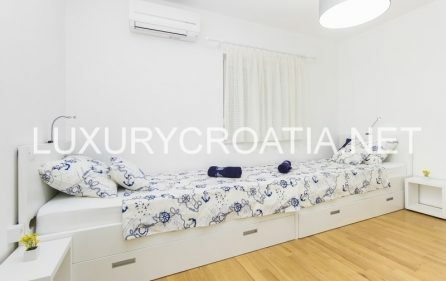 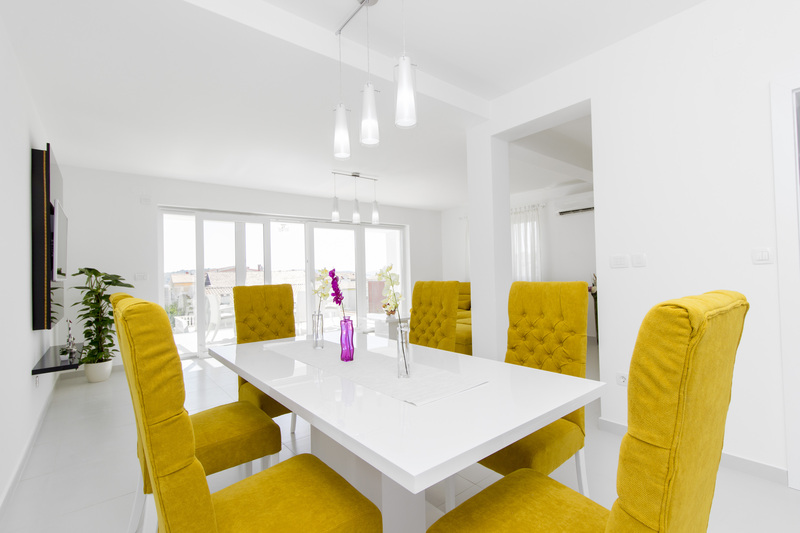 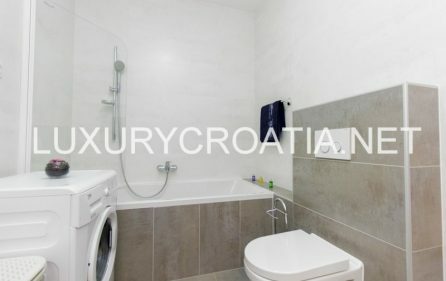 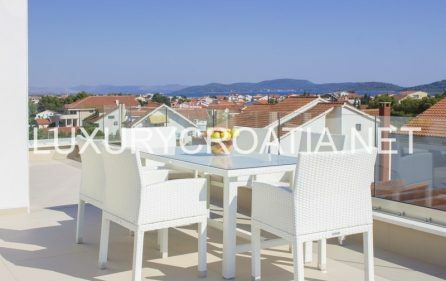 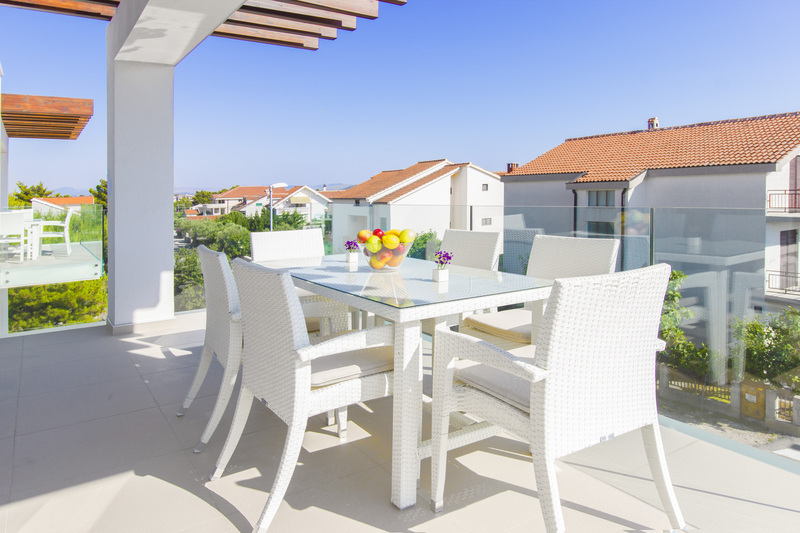 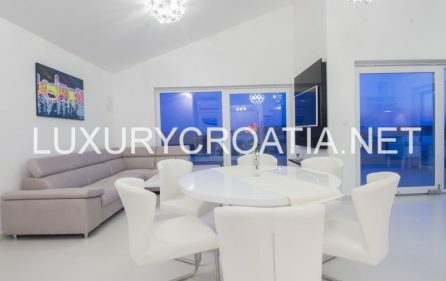 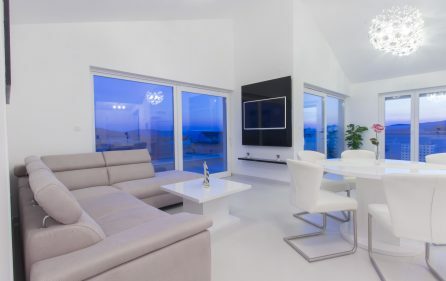 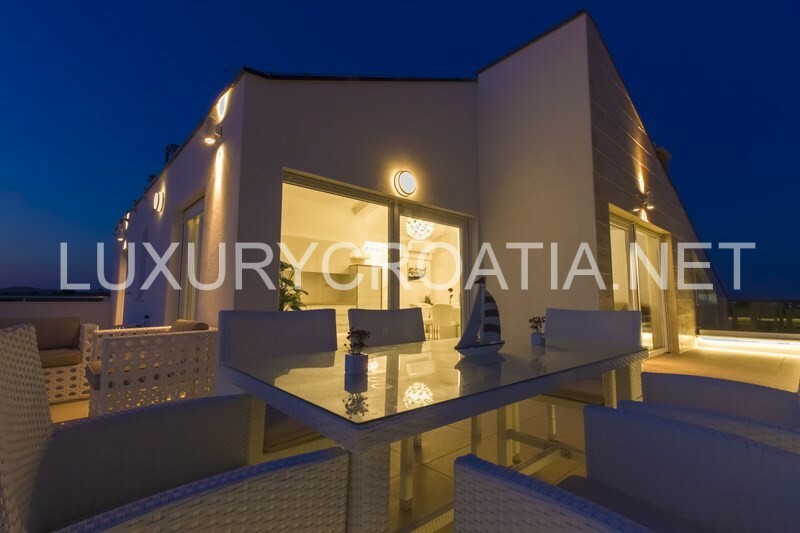 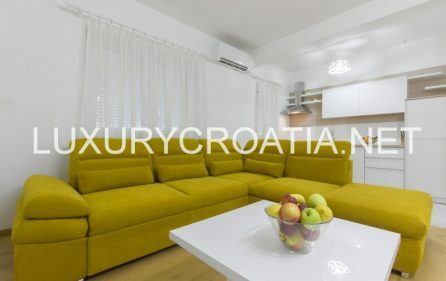 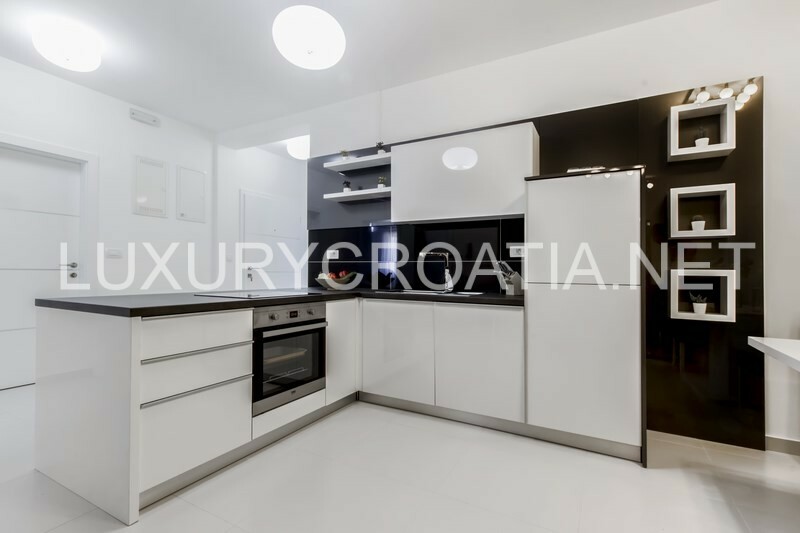 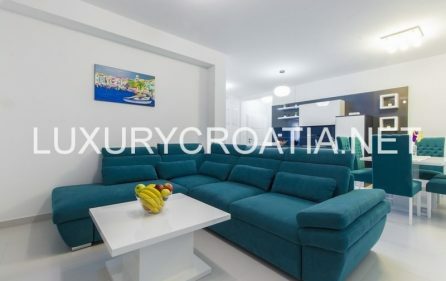 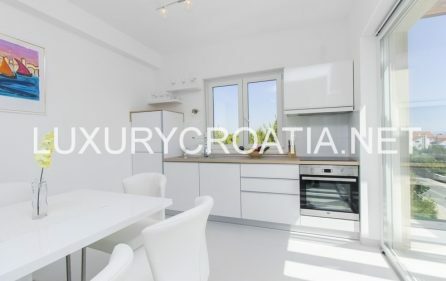 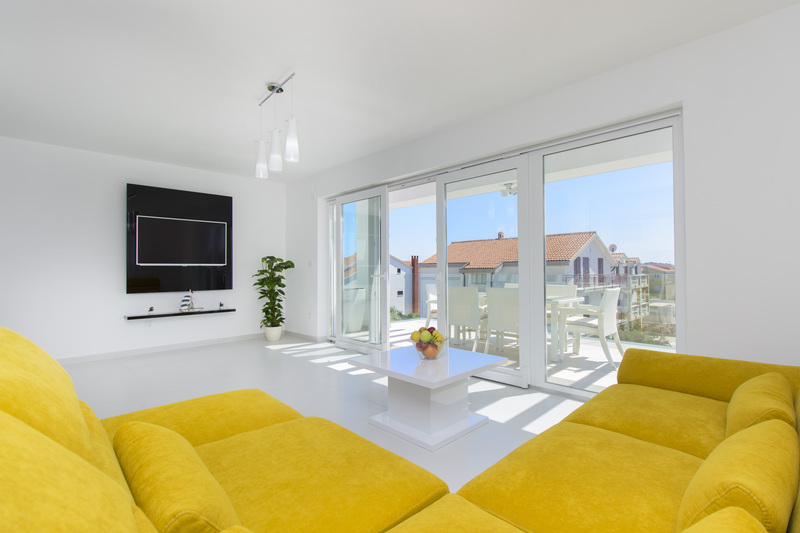 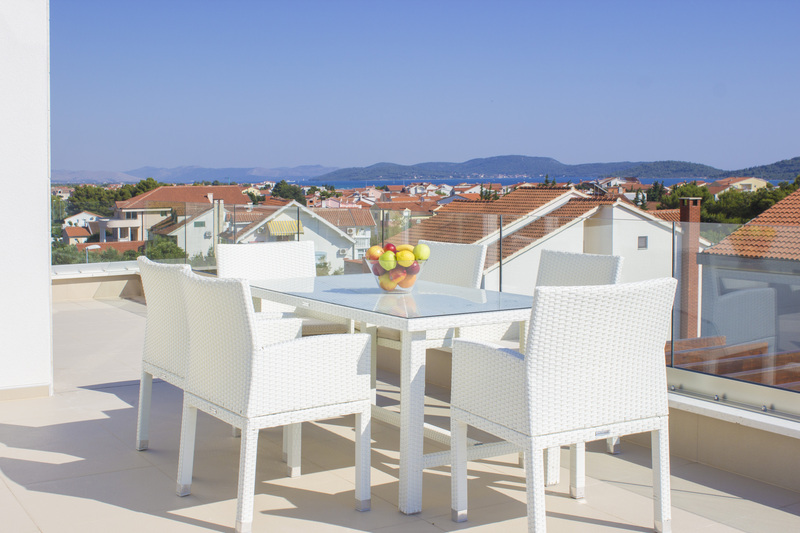 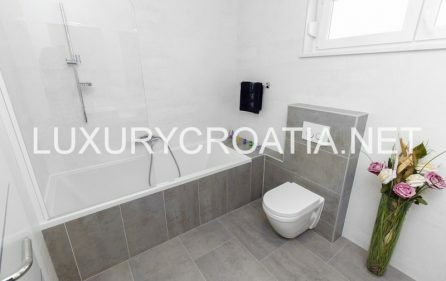 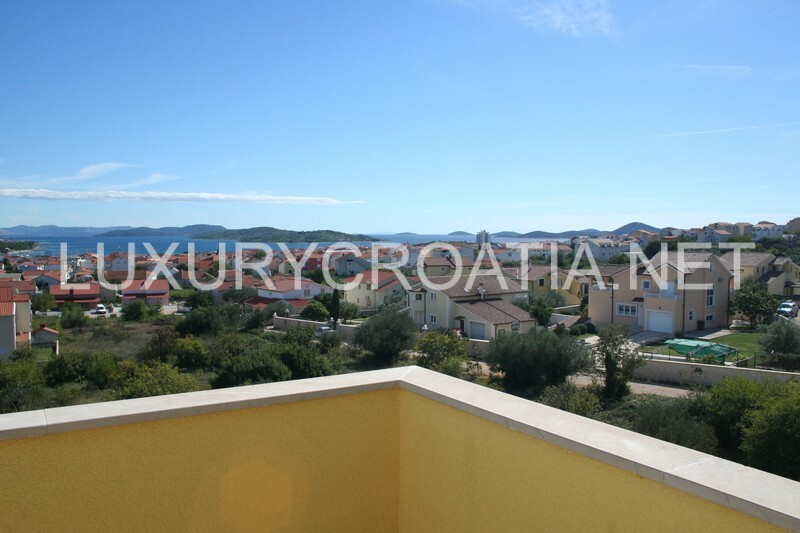 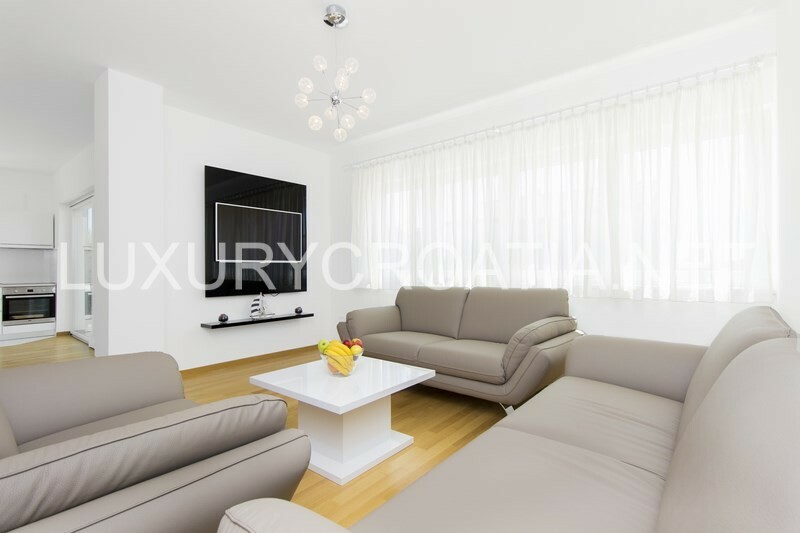 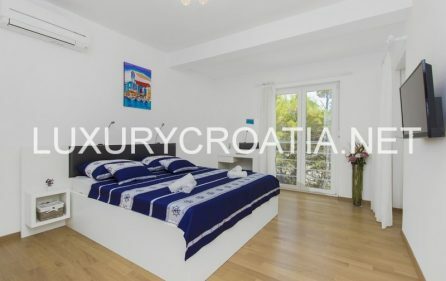 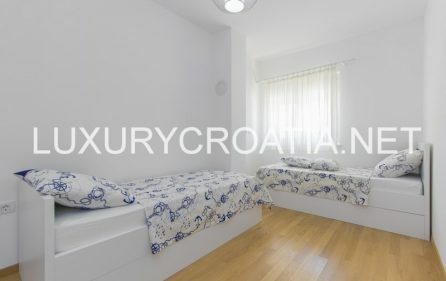 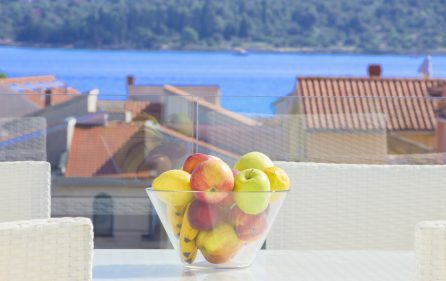 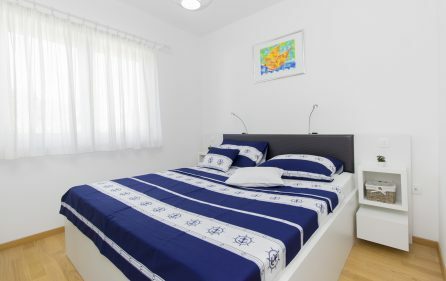 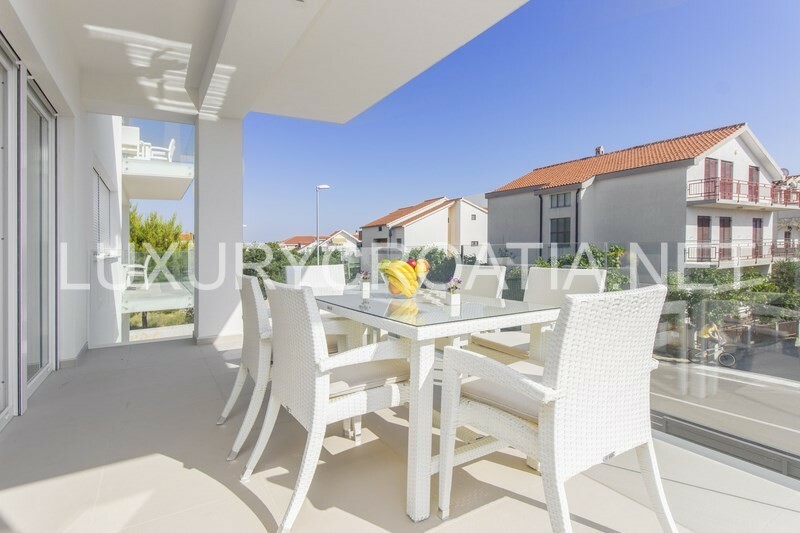 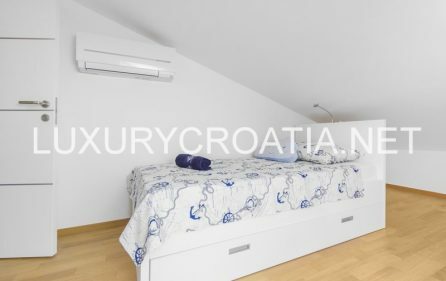 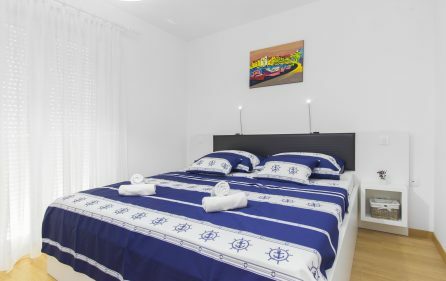 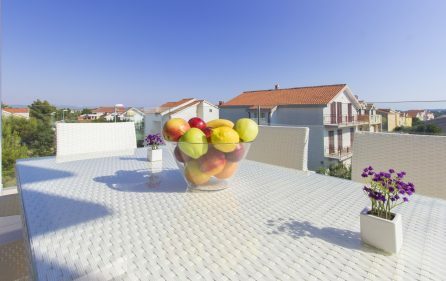 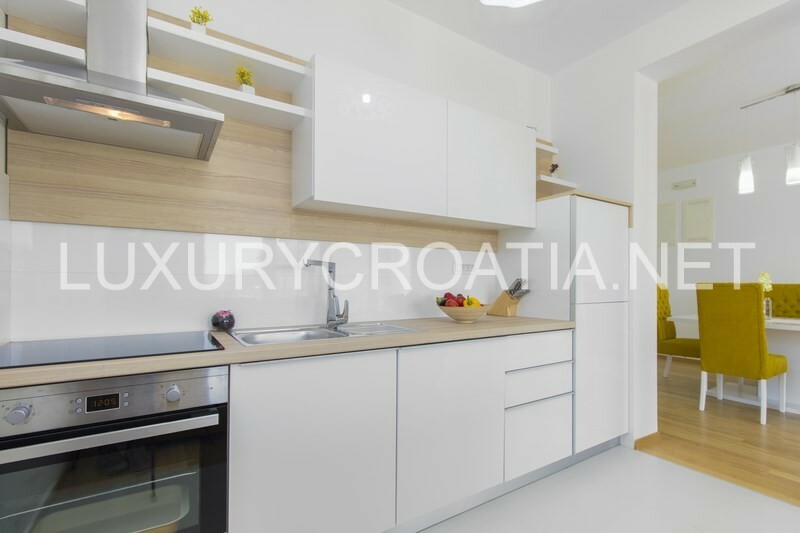 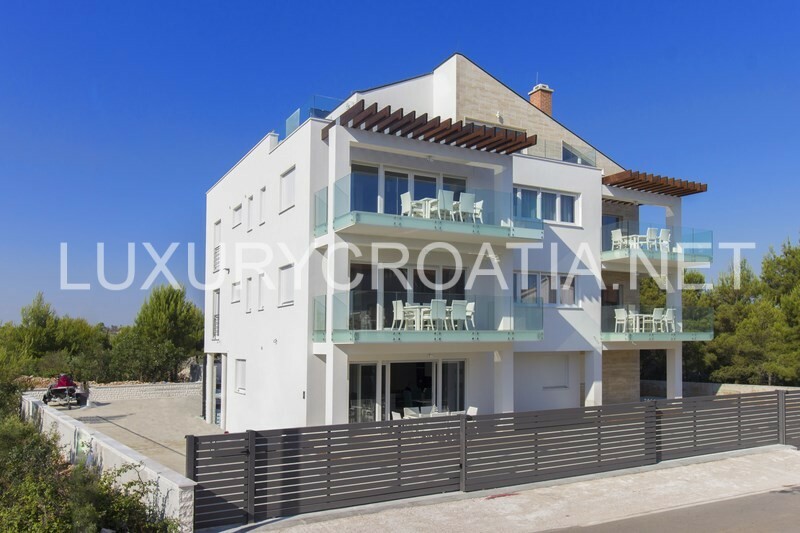 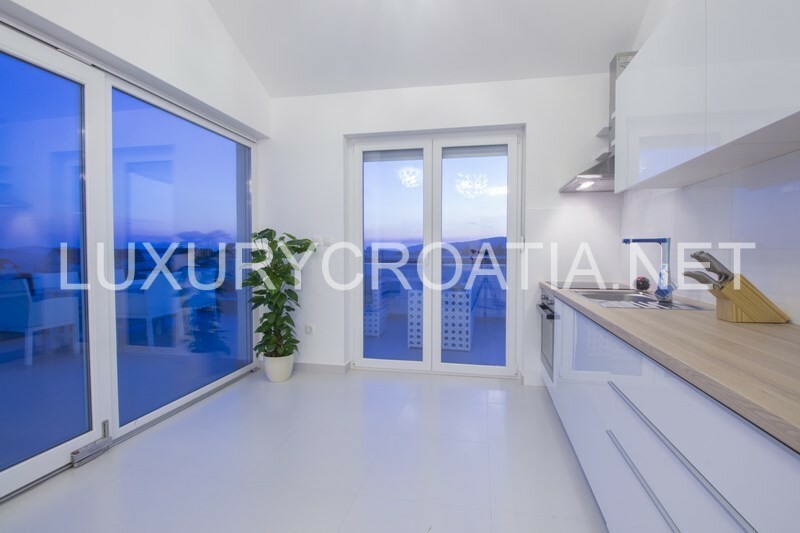 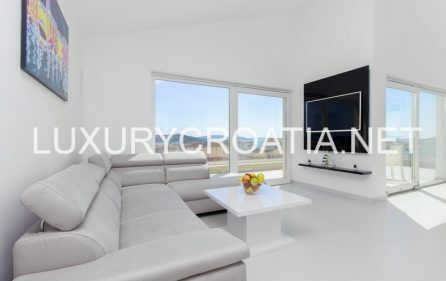 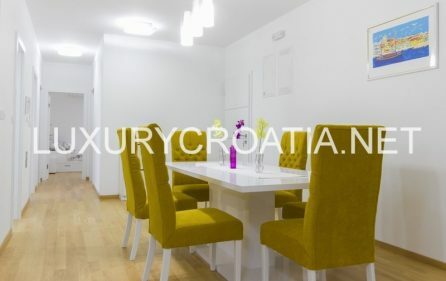 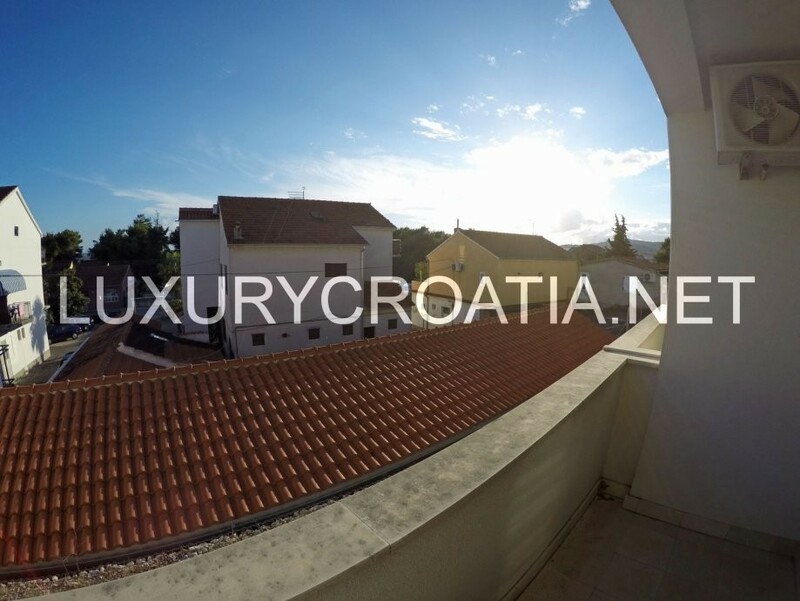 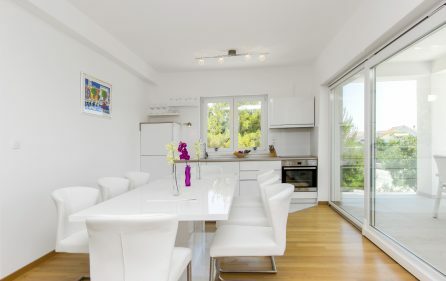 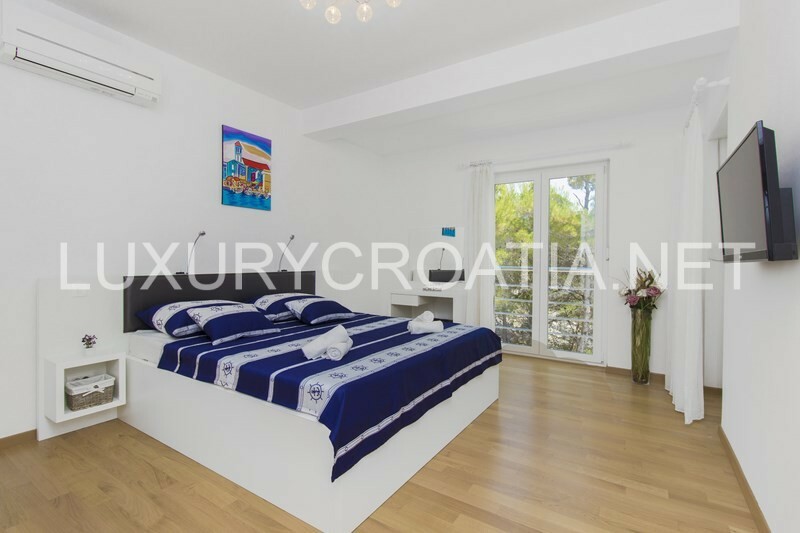 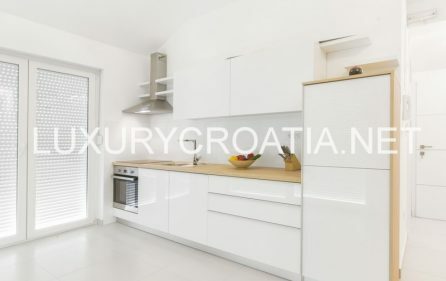 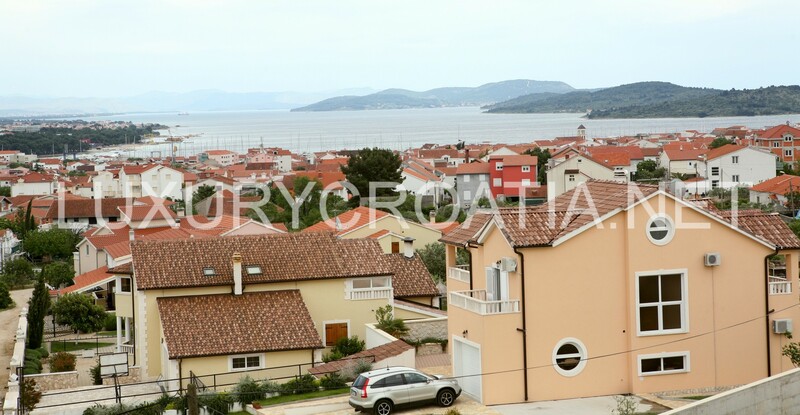 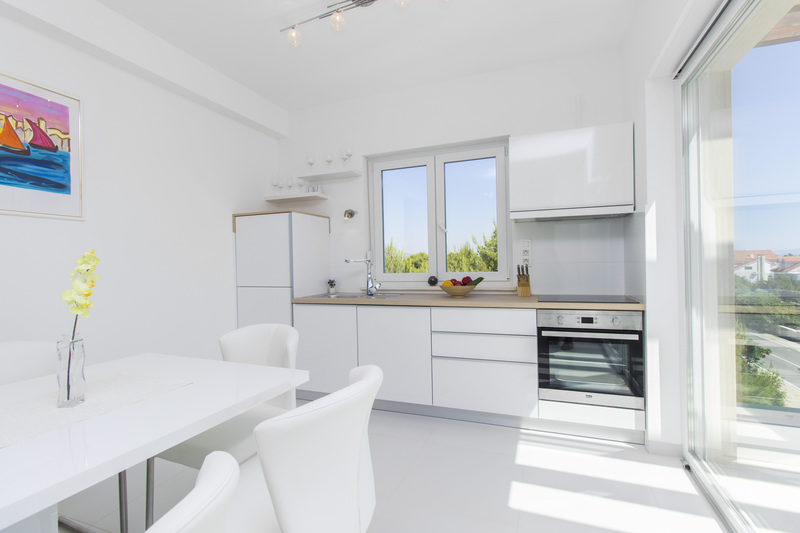 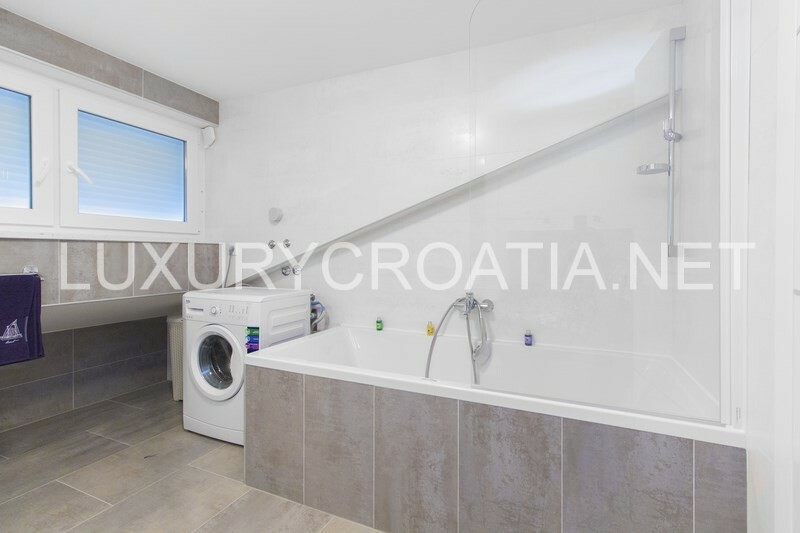 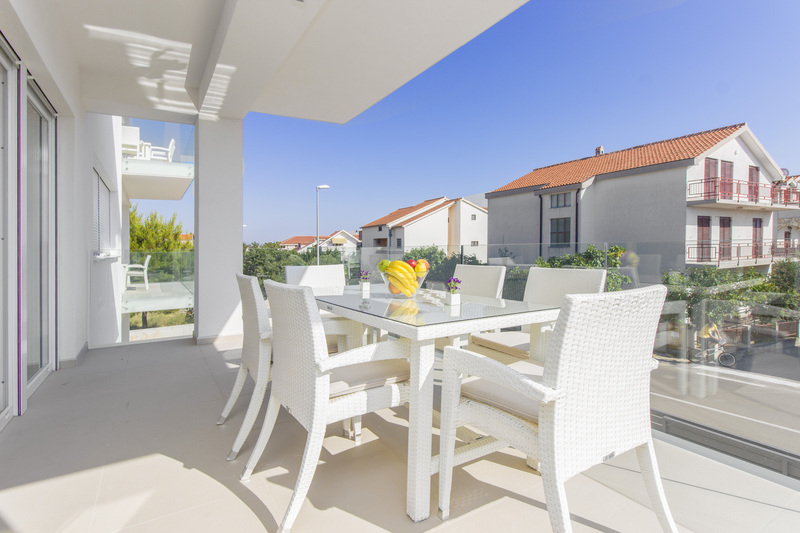 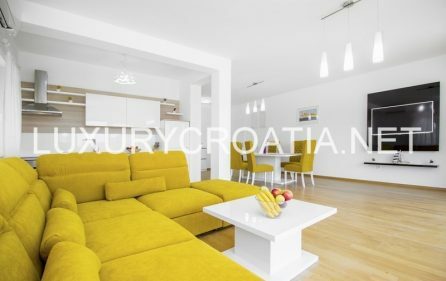 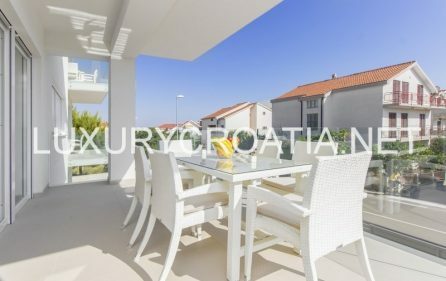 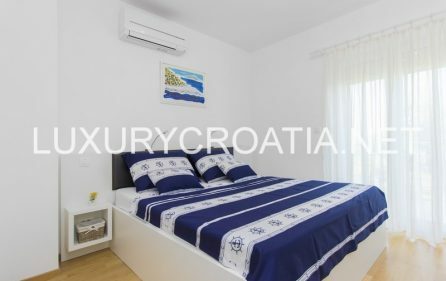 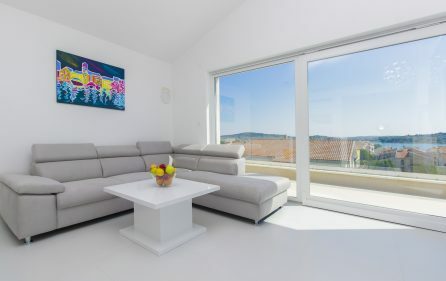 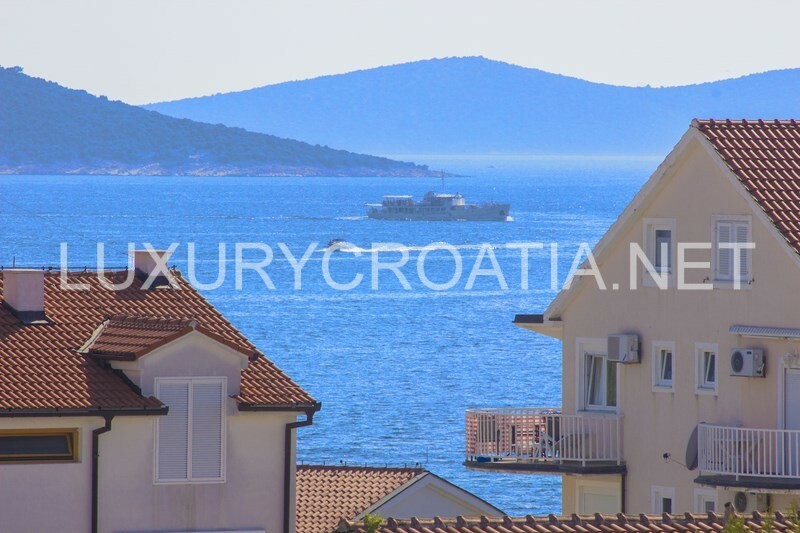 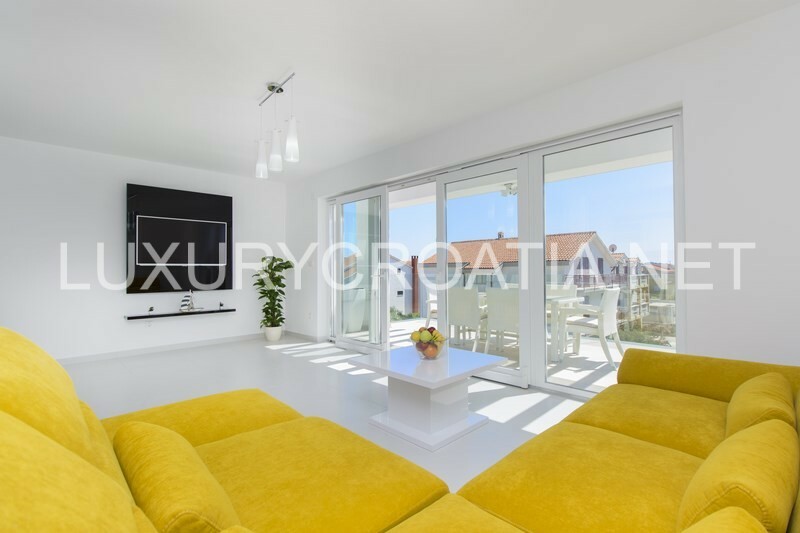 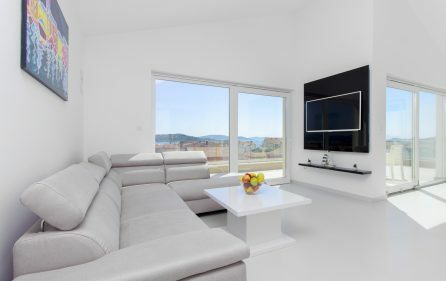 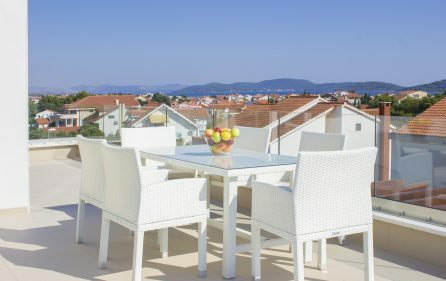 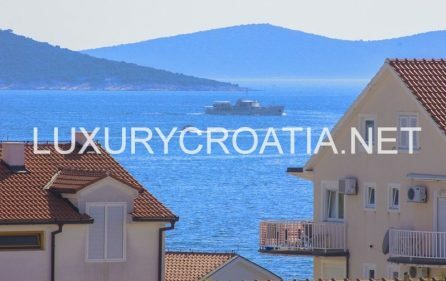 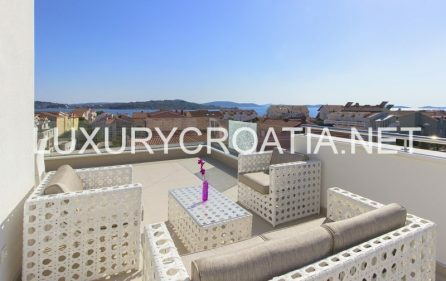 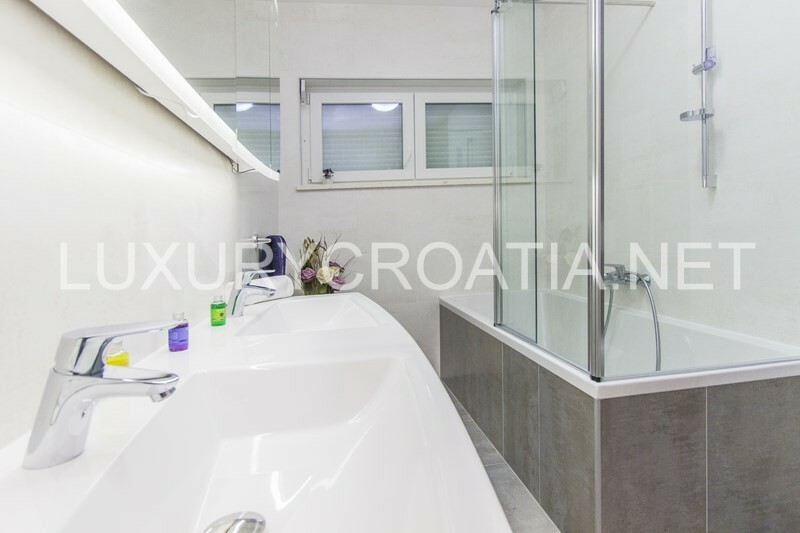 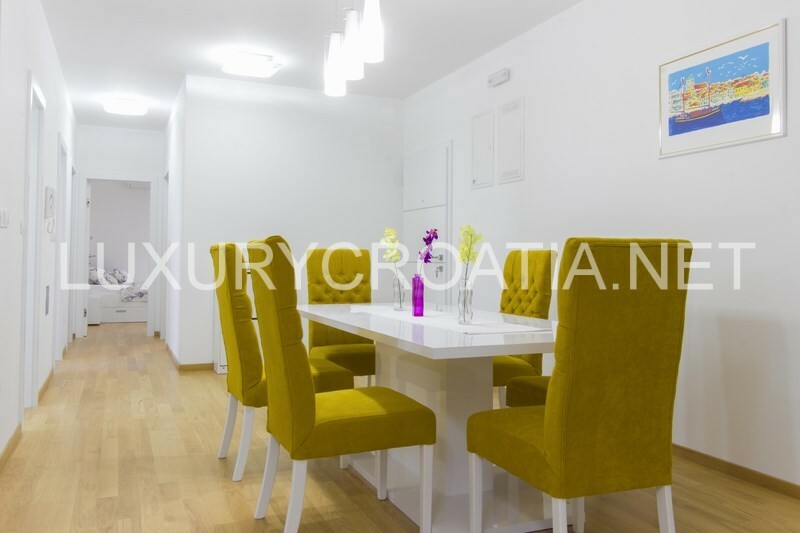 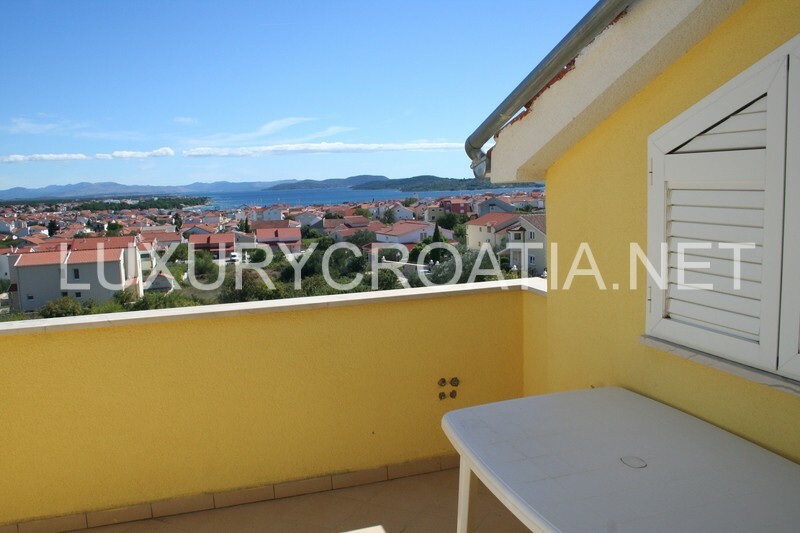 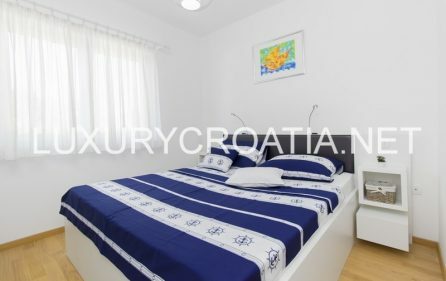 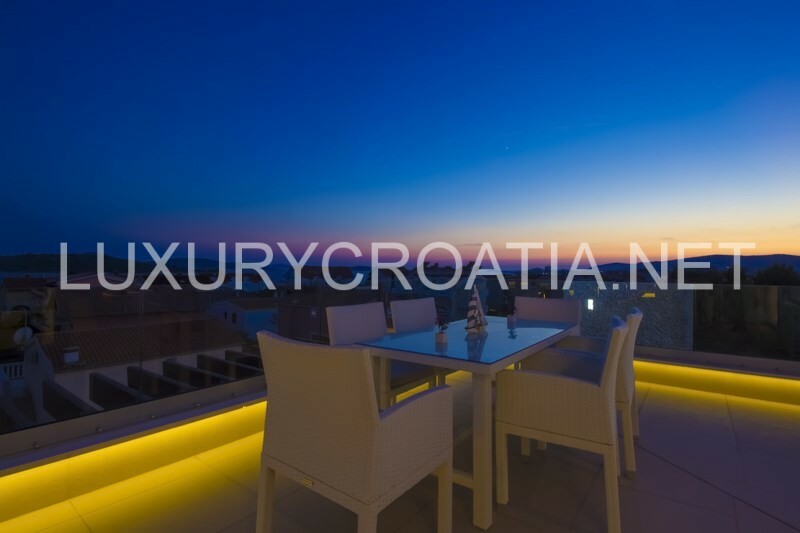 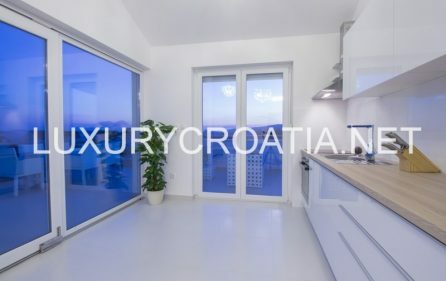 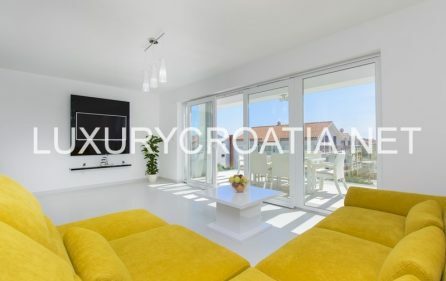 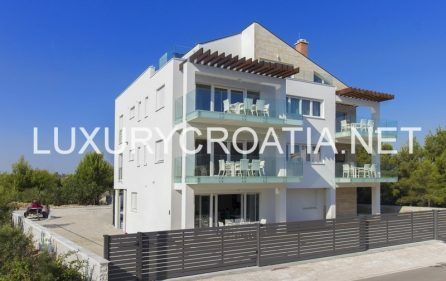 Apartment villa with pool for rent, Vodice – This beautiful apartment villa consists of 6 apartments, categorized with 5 stars. 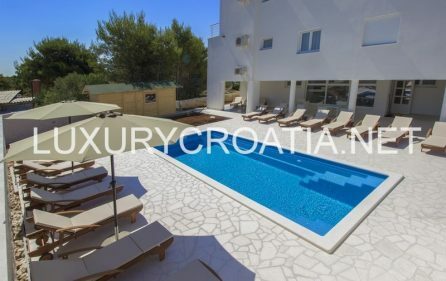 Villa offers a large swimming pool with loungers. 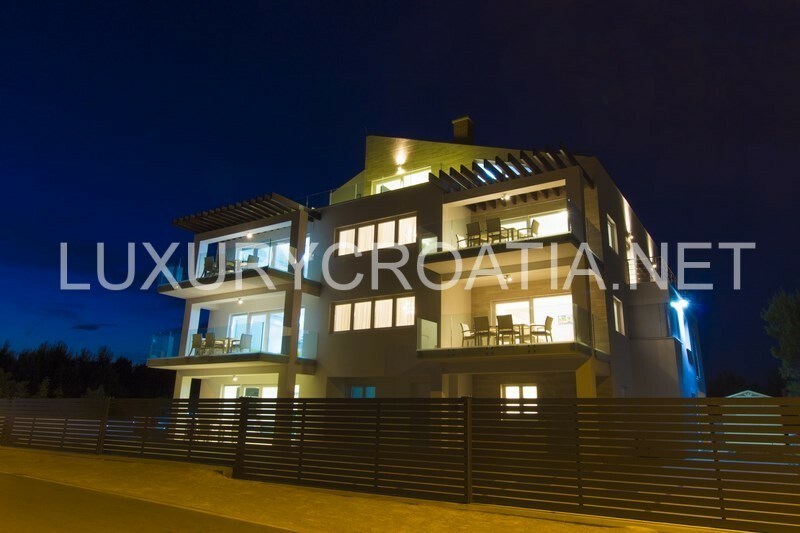 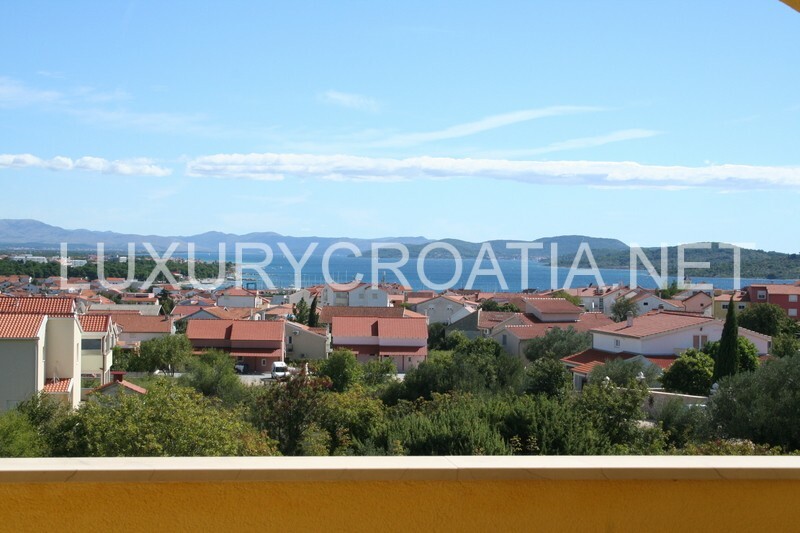 It is located in small town Srima near Vodice, and it is only 350 meters away from the sea. Apartments are bright and air-conditioned with free Wi-Fi, LCD TV with satellite channels, terrace and free parking space. 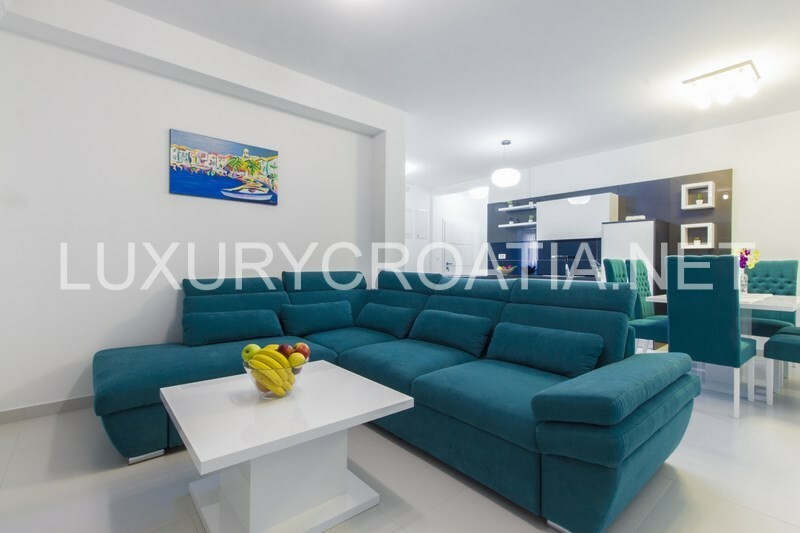 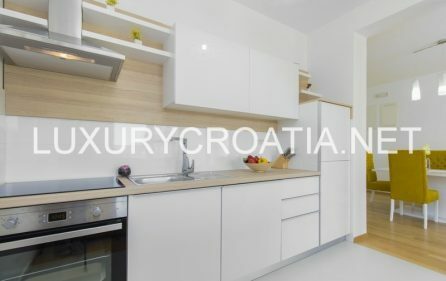 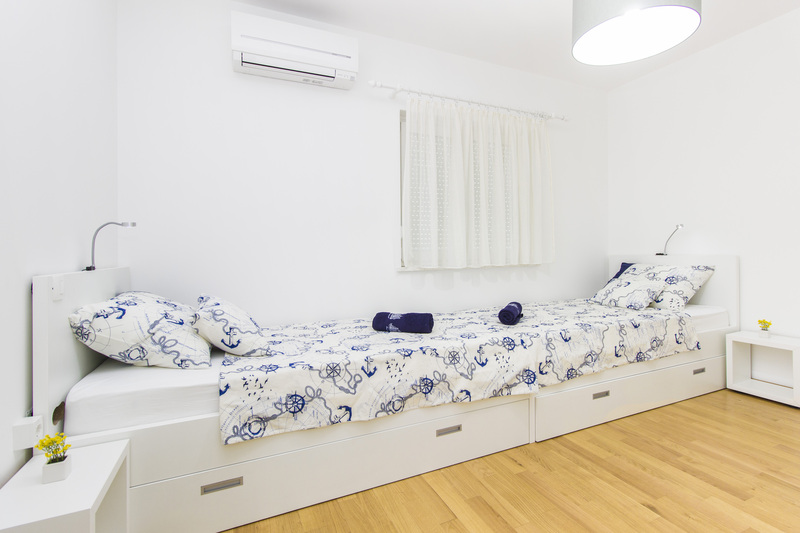 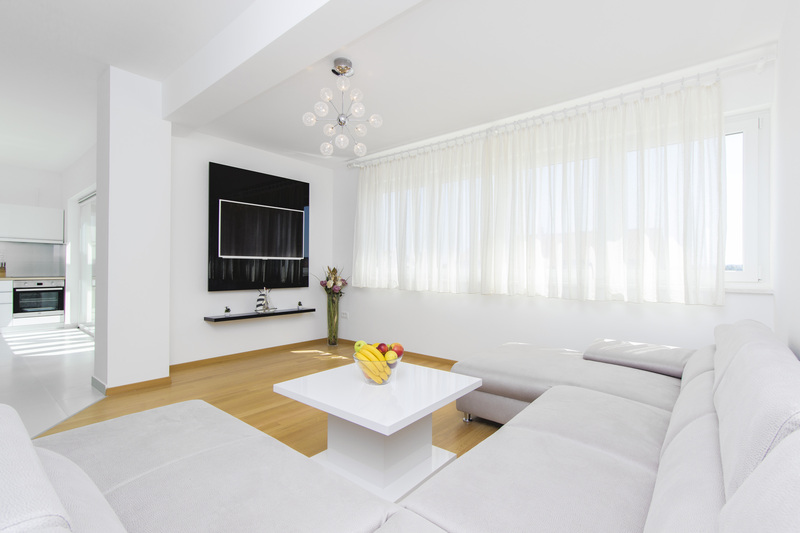 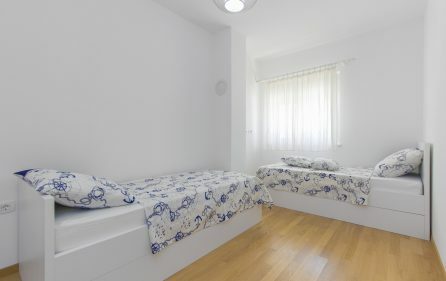 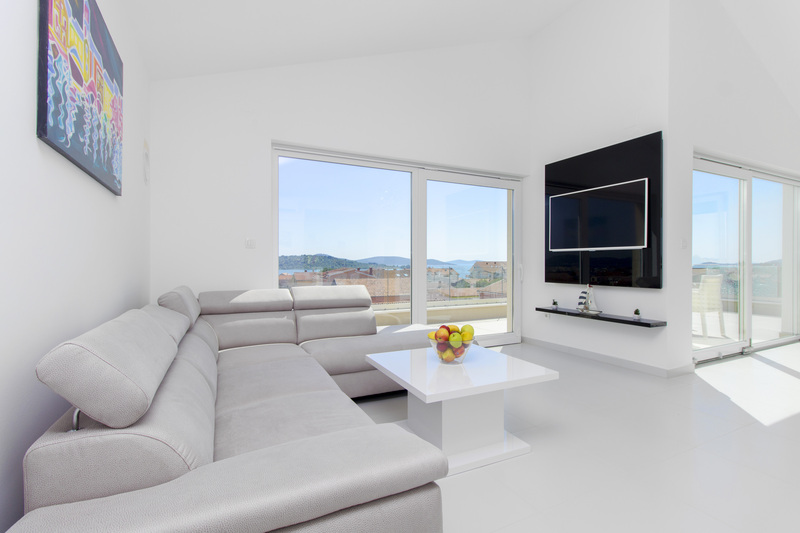 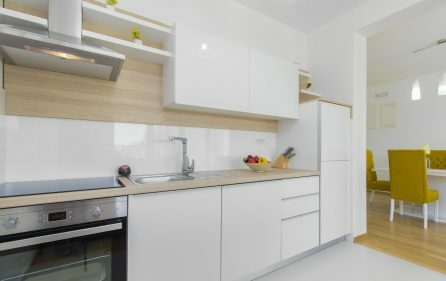 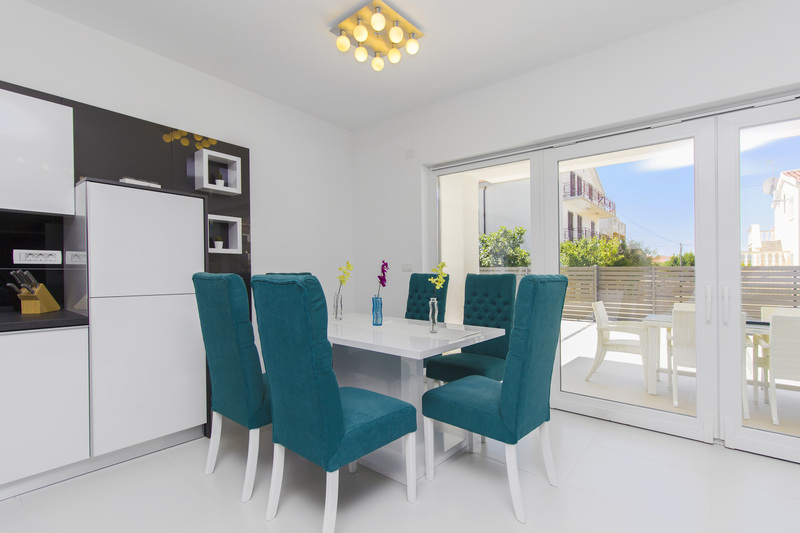 All modernly decorated apartments have air-condition in the living room as well as the bedrooms, fully equipped kitchen with dining area and dish washer and an oven, an electric kettle and refrigerator. Each apartment has 2 bathrooms and a toilet. 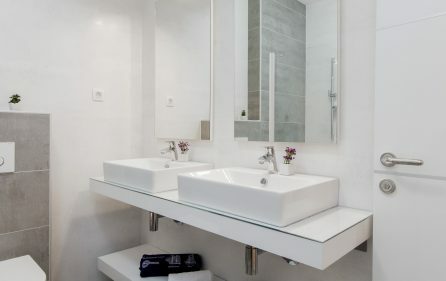 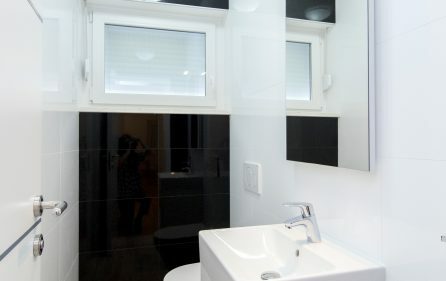 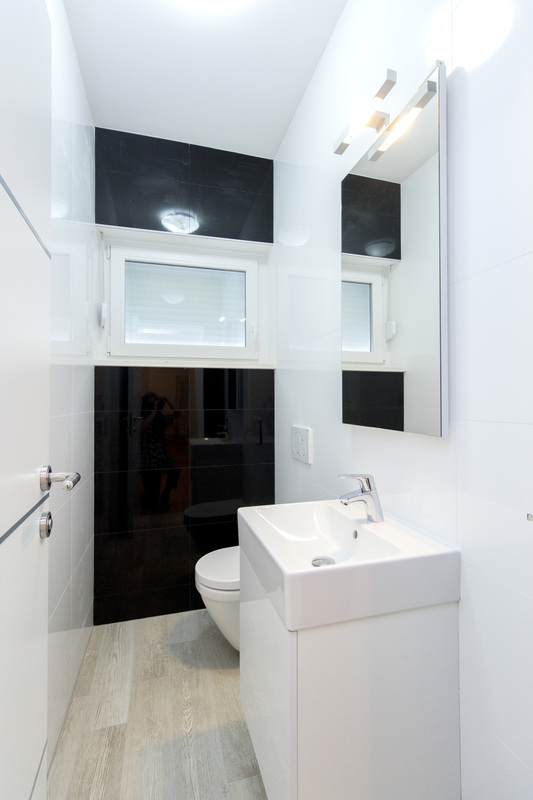 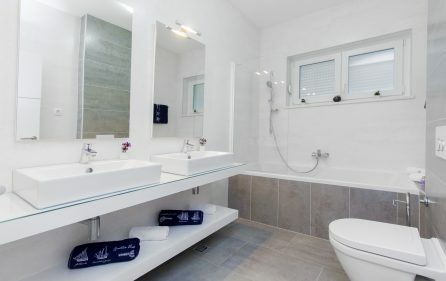 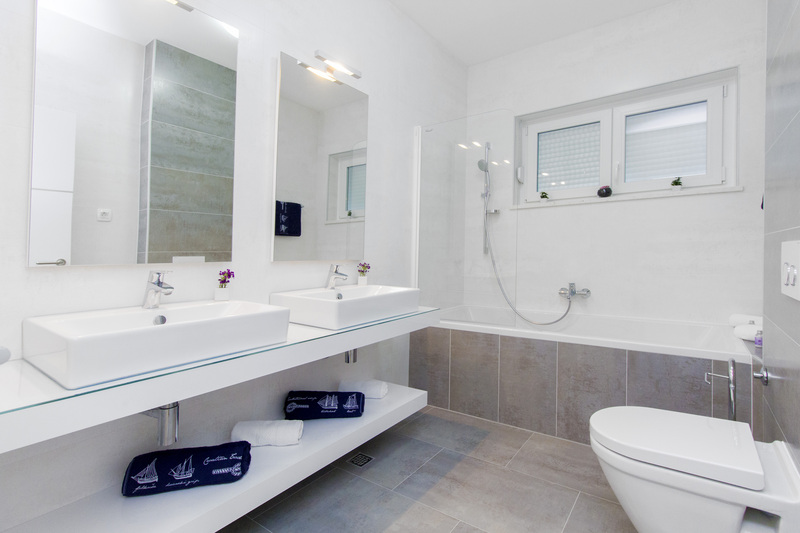 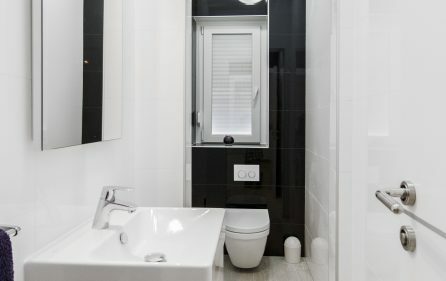 Bathrooms are equipped with bathtub, a washing machine, shower and hair dryer. 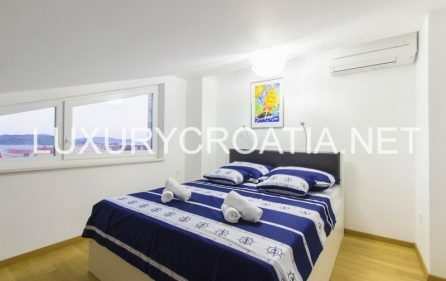 Nearest beach is 350 meters away as well as restaurant and coffee shop. 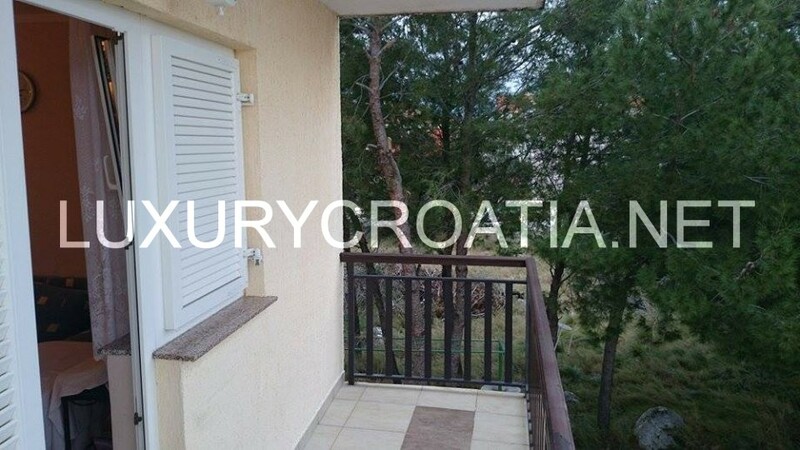 The center of Vodice is 1500 meters away, Šibenik 15 km, Zadar 60 km, National park Krka 30 km, Skradin 30 km, Split 90 km, and nearby is also National park Kornati. 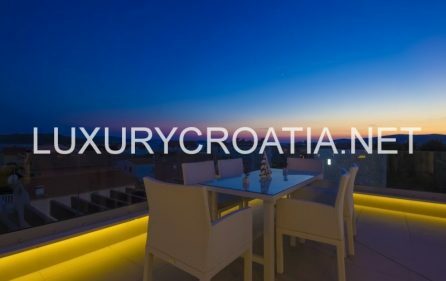 Villa is brand new and modern, providing complete comfort of private and luxurious vacation, away from the noise and hustle of everyday life.